What exactly makes this formula "ultra" gentle? A low level of cleanser? Hydration boosters? Wait – it contains fragrance?? Is this just marketing?? 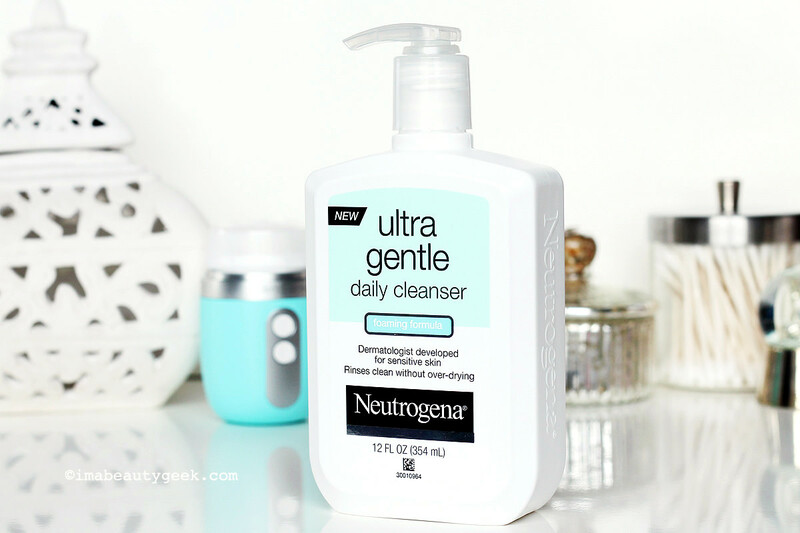 Neutrogena Ultra Gentle Daily Cleanser: what makes it "ultra" gentle? There are some things I just really enjoy in the back seat of a moving vehicle. Obviously, throwing my makeup on is one such thing. Another is interviewing. I love a good in-transit chat with someone who can&apos;t just get up and leave, at least not safely. On a recent beauty-brand press trip, I found myself in the back seat of an Uber car with Naomi Furgiuele, Senior Director of Global Beauty Face Care at Johnson & Johnson, the company that owns Neutrogena and Aveeno. So I took advantage. what makes neutrogena ultra gentle cleanser "ultra" gentle? 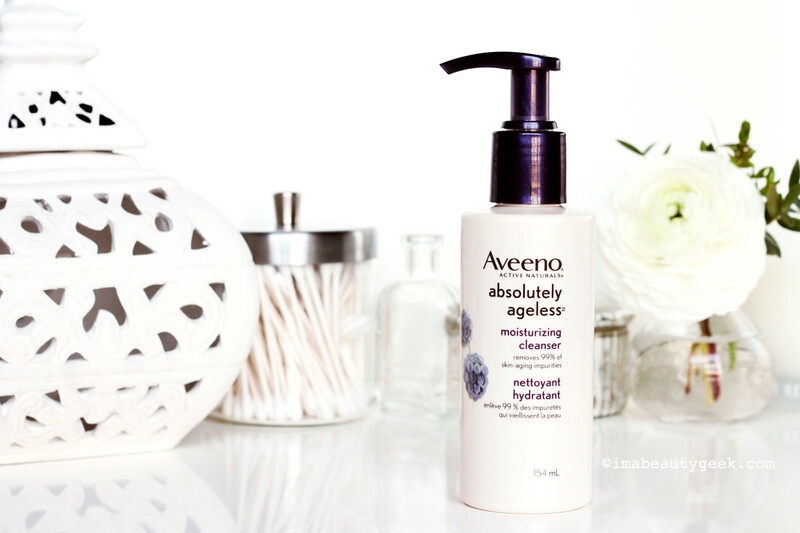 At a presentation earlier in the day, Naomi – she has a chemical engineering background, by the way – had mentioned that the new Aveeno Absolutely Ageless Moisturizing Cleanser is a polymeric cleanser, just like the Neutrogena Ultra Gentle Daily Cleanser. Nothing makes a geek&apos;s ears perk up more than a science-y word like "polymeric." And "chemical engineering." Plus I&apos;d already been wondering about the Neutrogena Ultra Gentle Cleanser – how is it "ultra" gentle? Is that word choice simply about marketing? A look at the labels on the two face washes immediately reveals a moisturizing element to ensure the formula won&apos;t strip the skin: glycerin is the second ingredient. But according to Naomi, "what makes them so mild is that they use really long-chain surfactants that can&apos;t penetrate the epidermis. They remove 99% of impurities, but without any of the irritating small molecules that can get in to upset the skin." I gather from this Journal of Cosmetic Dermatology article I found online that the Ultra Gentle surfactant contains "hydrophobically modified polymers (HMPs)" that bind several surfactant molecules together to create larger components too big to pass through the epidermal barrier. That means no soap seeps into the skin (and thus can&apos;t get left behind after rinsing) to cause irritation or dryness. but what about fragrance in the formula? I also found this abstract on fragrance and HMP-modified or polymeric cleansers that answered another big question: how can the Neutrogena Ultra Gentle Daily Cleanser be gentle if there&apos;s fragrance in the formula? (There is; see the ingredient list below.) And lo, it seems that sensitive skin has no problem tolerating a small amount of fragrance in this type of cleanser. That&apos;s good news if you can&apos;t tear yourself away from fragrance in your foaming face wash despite your sensitive skin&apos;s complaints. "The motivation behind Ultra Gentle was to find a way to avoid irritating the skin with surfactant or fragrance," said Naomi. 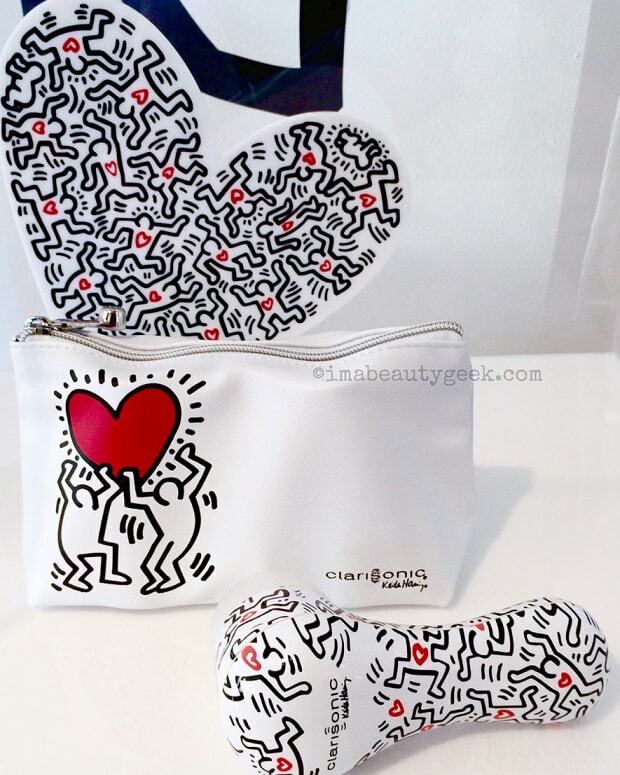 "It&apos;s important not just to minimize irritation, but also to allow skin to keep its natural lipids to stay hydrated. We know that a compromised barrier is associated with acne, eczema... there are so many reasons to protect it. 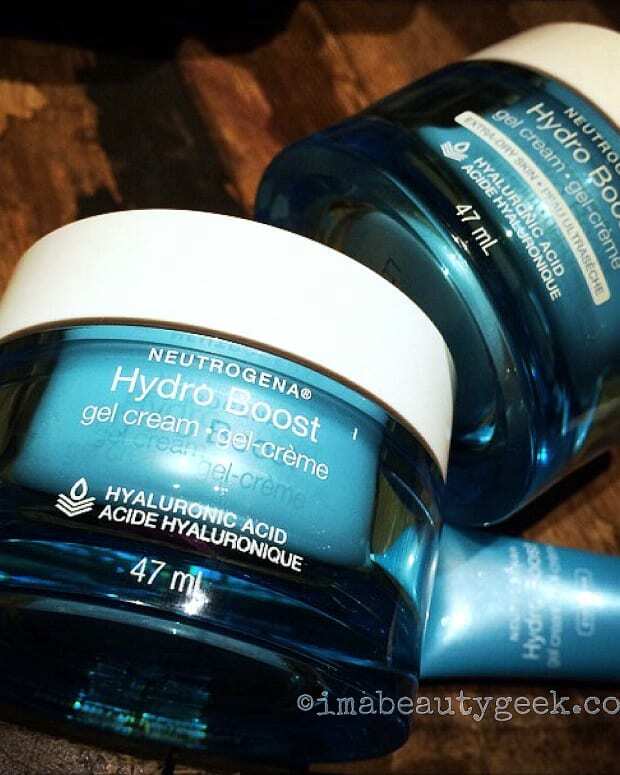 We have more coming from Neutrogena with polymeric cleansers because we really believe this is the next best innovation that is gentle and good to your skin barrier."" Seems to me that either of these two cleansers would work nicely with a Clarisonic Mia Fit ($199 CAd at sephora.ca and $189 USd at sephora.com). Important to remember though, that it&apos;s not a Clarisonic&apos;s brush bristles that do the cleansing – they should glide easily over the skin rather than dig into pores. The true cleansing power of a Clarisonic is in the way the sonic technology swishes water + face wash around on the skin&apos;s surface to evict dirt and grime. Oh, and if you&apos;d still rather have a fragrance-free cleanser, perhaps consider the creamy Neutrogena Ultra Gentle Hydrating Cleanser ($9.97 CAd at walmart.ca and $9.99 USd at ulta.com). Well that&apos;s how to make a geek happy in the back seat of an Uber. What do you think of all this? Have you tried either the Neutrogena Ultra Gentle Cleanser ($9.97 CAd at walmart.ca and $9.99 USd at ulta.com) or the Aveeno Absolutely Ageless Moisturizing Cleanser ($12.99 CAd at londondrugs.com and $9.99 USd at ulta.com)? Neutrogena Ultra Gentle Cleanser ingredients: Water, Glycerin, Cocamidopropyl Betaine, Lauryl Glucoside, Potassium Acrylates Copolymer, PEG-120 Methyl Glucose Dioleate, Disodium Lauroamphodiacetate, Sodium Cocoyl Sarcosinate, Ethylhexylglycerin, Caprylyl Glycol, Potassium Sorbate, Fragrance.